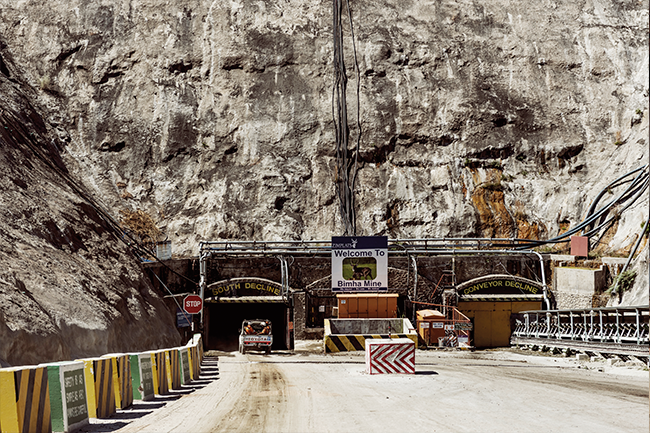 A change in government is proving to be a catalyst for the long-anticipated upturn in Zimbabwe’s mining sector. The prospects for Zimbabwe’s mining sector have revived since the removal of former President Robert Mugabe in December last year. Almost immediately, the new govern­ment under Emerson Mnangagwa announced that the country was ready to do business and undertook measures to once again make mining attractive to investors. Although it is only a few months since Mnangagwa took office, the beginning of a mining boom is already evident. In December, just three exploration rights were active in the country. 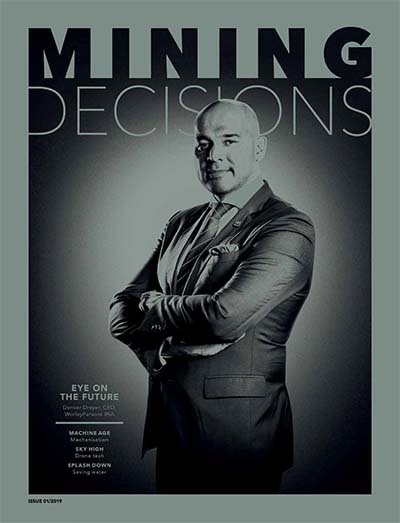 By the end of March, this had climbed to 30 – and the Minis­­try of Mines and Mining Development expects the number to rise to 100 by the middle of the year. Several new investment deals have been announced since Mnangagwa’s accession to office. Great Dyke Investments, a joint Russian-Zimbabwean venture, has signalled its intention to go ahead with an initial US$400 million platinum group metals (PGM) investment, which will eventually nearly double Zimbabwe’s production. The mine, at Darwendale, is described by the company as ‘the world’s biggest PGM asset’. It expects to mine 27 tons once it achieves ramp-up. In 2017, the country’s total pro­duction was 14.2 tons, according to the Chamber of Mines. 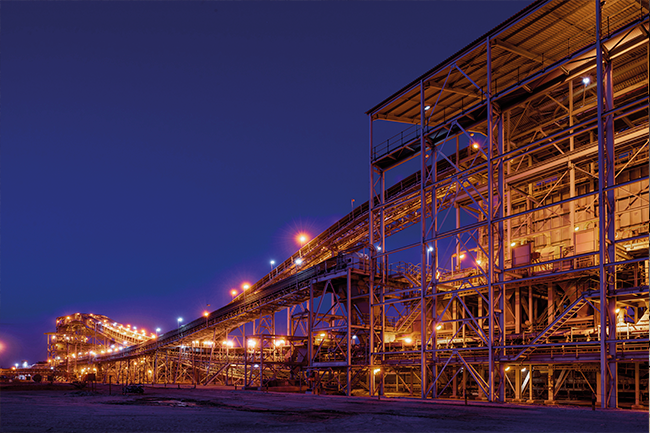 Another big platinum deal, worth US$4.2 billion, was signed in March 2018 with Cyprus-based Karo Resources, headed by mining entrepreneur and former Anglo Ameri­can employee Loucas Pourolis, promising to start development in July and reach first output in three years. At full production, it is expected to mine 43 tons a year. In a different subsector, Prospect Resources announced in February that it was to go ahead with the Arcadia lithium project on the outskirts of Harare. Lithium is a green-economy metal, used in battery terminals. Zimbabwe has the potential to supply up to 20% of global demand, and the metal could well be poised to become one of the countries ‘big three’ mineral exports, alongside platinum and diamonds. Two junior miners are known to be finalising feasibility studies in the subsector. Zimbabwe is one of the world’s great troves of mineral wealth. Much of its wealth is concen­trated in the Great Dyke, an approximately 500 km-long ridge that runs from the north-west of the country to the south-east. Stuffed into that single formation are the world’s second-largest platinum and chrome deposits, and substantial reserves of gold, nickel and zinc. Coal, diamonds, asbes­tos, iron ore, lithium and more gold are found elsewhere in the country. Yet the sector faltered under Mugabe’s command economy and indigenisation policy. The latter, introduced in 2008, required that 51% of every asset or company be locally owned. Companies that failed to meet this target faced the threat of expropriation. With the Mugabe govern­ment’s emphasis on a dictatorial style – and ‘sticks’ rather than ‘carrots’ – invest­­ment dried up. In 2016, according to a Business Report article, Zim­babwe managed to attract just US$294 million in foreign direct investment. A 2018 analysis, produced by London-based Mining Report and released at the first post-Mugabe mining investment conference in March, found that the sector generates less than US$2 billion per annum but has the potential, at current commodity prices, to generate US$18 billion. It also indicated that this required a US$7 billion capital injection after years of underinvestment. Nearly half of this (US$3 billion) was needed by the platinum subsector. Speaking in January, Chamber of Mines economist Pardon Chitsuro pointed out that many of the big opportunities in the sector involve investment to replace obsolete equipment. ‘In 2018, the mining industry requires US$777 million to optimise pro­duction with US$401 million for sustaining operations and US$376 million for replace­ment and capital expansion,’ he said. Underinvestment in mines was only one part of a wider decline in which mining was caught up. Failure to invest in transport infrastructure in Zimbabwe since the millen­nium saw a surge in transport costs. But this is one of the elements of the economy the new government is trying to repair. Seven locomotives and 157 wagons were delivered by South Africa’s Transnet in February as an initial part of a US$1.76 billion infrastructure recapitalisation programme. Electricity generation is going to require attention too. It is a considerable constraint even before the new mining projects are factored in. The current production rate of about 1 200 MW is considerably lower than demand of 2 000 MW. With new capital investment, this bottleneck could be overcome quickly. The country’s main thermal power station at Hwange is generating just 110 MW against its capacity of 920 MW and desperately requires recapitalisation. Another coal-fired thermal project, at Makomo, has potential as it sits on a rich coal field. The enabling environment for mining investment was generally hostile under Mugabe. 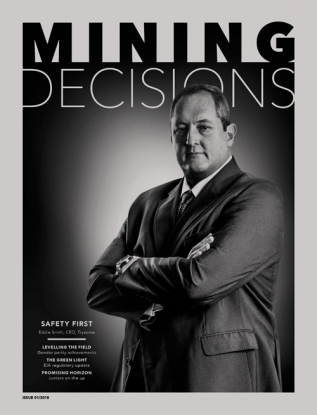 The department of mines took months to respond to even the simplest enquiries and the fiscal crisis impacted on mining in unanticipated ways. Last year the Mugabe government directed the big mining companies to surrender 80% of their foreign exchange receipts to the central bank as part of the effort to overcome a forex crisis. This posed an immediate threat to capital procurement as most machinery must be imported. There were reports that some Zimbab­wean firms were forced to use heavily dis­coun­ted bitcoin for international payments. However, the country still has a functional capital market and the private sector was able to step forward with solutions. Foreign-owned banks, most based in South Africa, were able to leverage their parent companies for onlending to Zimbabwean companies. 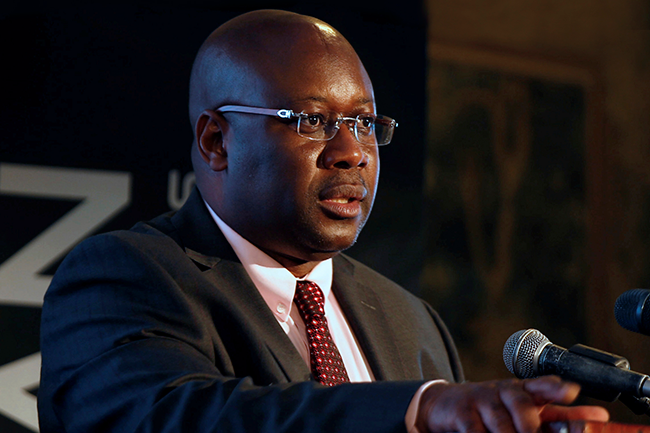 The first and biggest step towards reviving the industry was taken days after Mnangagwa assumed office, when Finance Minister Patrick Chinamasa announced that the indigenous ownership requirements had been lifted across the economy, with the exception of the platinum and diamond subsectors. There may be flexibility in these other sectors too, especially platinum. Zimplats CEO Alex Mhembere believes the new government is prepared to see indigenisation achieved through other channels such as beneficiation and supplier develop­ment. ‘There is discretion for the minister to switch from equity to [other] economic objectives,’ he says. Minister of Mines and Mine Development Winston Chitando, who was appointed last December immediately after the ousting of Mugabe, has himself suggested that ‘flexibility’ will be his watchword. ‘The law provides for flexibility,’ he told an audience in Cape Town in February. 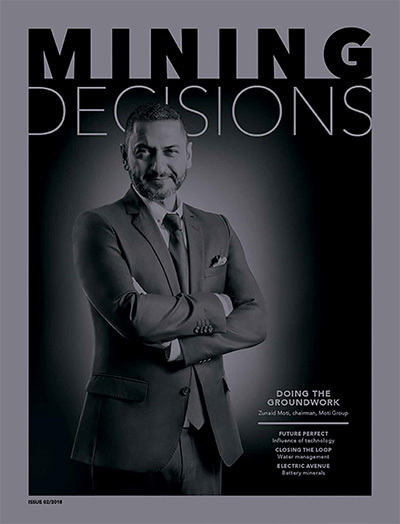 ‘Companies should come up with proposals that suit their different circumstances.’ This, however, was only one of the reforms that will benefit the country’s dominant mining subsector, platinum. The Minister of Finance also deferred the 15% tax on unpro­cessed and semi-processed mineral commod­ities for at least one year. At present, much of Zimbabwe’s platinum is processed, beyond the concentrate stage, in South Africa. In addition, Chinamasa cut royalties paid by the sector from 10% to 2.5%. Platinum is the biggest mining subsector in Zimbabwe, accounting for some 45% of the country’s export earnings. The big players in the industry – Zimplats (87% owned by South Africa’s Implats), Mimosa (Sibanye-Stillwater) and Unki (Anglo Platinum) – were engaging with the Mugabe government with regards to beneficiation of the metal. The government didn’t only insist on the metal being smelted in Zimbabwe but also wanted to prescribe the technology used. While the government still wants to see local processing, it appears to have abandoned its desire to intervene directly. The biggest question mark at the moment is over Zimbabwe’s diamond sector. The Marange diamond fields are undoubtedly rich but the exact value is impossible to quantify as the proceeds have been ‘exter­na­lised’ (exported) on a considerable scale. The diamond fields are dominated by interests within the Zimbabwean military and it may be too much to expect rapid reforms in this area. Nevertheless, the loss of diamond revenues to the state can be expected to focus minds eventually. Despite the fact that mining is associated with long lead times, this is the one sector that offers the Mnangagwa government the prospects of the ‘quick wins’ it needs if it is to maintain its popularity. It also has the potential to provide the basis for the economic restruc­turing the country so desperately requires. The signs so far are that the government will do everything it can to attract fresh investment, bending over backwards if necessary to meet the requirements of mining companies. It is unlikely to be a smooth path at every step along the way but it is finally pointed in the right direction.